England international Danny Cipriani is expected to be out of action up to 12 weeks following a knee injury. 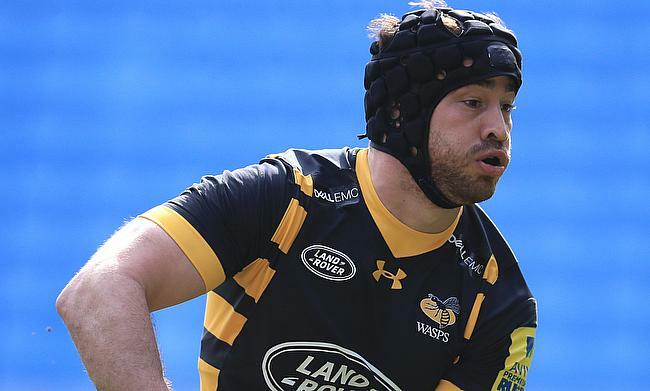 The 29-year-old sustained the blow while playing for his club Wasps in the recently concluded Aviva Premiership clash against Harlequins which his side went on to lose 21-24 at Ricoh Arena. Cipriani, who kicked three penalties and a conversion in the game was sin-binned in the 65th minute for a deliberate knock-on. He consulted a specialist following the game on Sunday which confirmed a ligament tear on his knee and will need between eight to 12 weeks to heal. Meanwhile, Alex Rieder is set to undergo a surgery on his shoulder that will keep him out of action for four months. Wasps rugby director Dai Young is hopeful of handling the setback due to injuries as the club seeks its first Aviva Premiership title since the 2007/08 season. "It's obviously not ideal to be without some of our key players, but it is likely to happen to a number of clubs at some stage during the season," Young told the club website. "Unfortunately, we've picked up a few injuries early doors which is obviously going to stretch us, but we just need to deal with that. We have a strong squad and that's what building quality throughout the squad is for."